Can we truly reap the benefits of traditional farming practices? New Tehri : It is the 17th year of the 21st century, and we might feel that a technologically advanced world as ours does not need to be concerned about its depleting soil quality. But there are a few things which are not retrievable. Soil, for instance. Massive use of pesticides, fertilizers and other chemicals on our soil has led to its depletion beyond measure. Of late, the way we have been practicing agriculture can rightly be called ‘soil mining’. 1. A disparity in the consumption of fertilisers where the district-wise fertiliser consumption in the country varies from 50 to 200 kg/ha. 2. An excessive use of chemical fertiliser (150-200 kg/ha) as reported from some states like Punjab and Haryana has caused the destruction of useful microorganisms, insects and worms in the soil. 3. Imbalance in nutrient status has caused a significant deficiency of nitrogen, phosphorus, and potassium as well as zinc, sulphur, molybdenum and boron. It has also disturbed soil texture and its physio-chemical properties. 4. Environmental degradation like depletion of stratospheric ozone and nitrate toxication have caused health hazards, such as cancer, methemoglobinemia respiratory illness, hypertension etc. 5. Pollution with heavy metals and pesticides have caused serious damages to food quality. Evidently, food is no longer safe to consume. Somewhere in between using these chemicalised farming methods and being able to increase our yield, we forgot that there have been alternate ways to grow more food and provide higher incomes to farmers without destroying the environment, the soil and killing our peasants. For instance, traditional systems of rain-fed farming methods like Baranaja has allowed 3.5 million farmers of Tehri Garhwal region to grow sufficient harvest for themselves and carry forward the amazing seeds in the next season. Baranaja is a mixed crop farming method and is based on a long-established wisdom. The word literally means twelve grains. It involves growing of 12 different seeds, which includes that of grains, dhal, fibre, millet, oil, amaranth, buck wheat and a traditional variety of soya called bhaat. Such wide bio-diversity also means, only one or two will effectively fall to pests or diseases. In case of flood or drought, the resistant ones among these varieties survive and so people won’t go without a harvest. These twelve grains when grown in a synergistic combination with each other ensure soil fertility. In Baranaja, the seeds of 12 crops are mixed together and spread at random in the field that has been treated with manure. 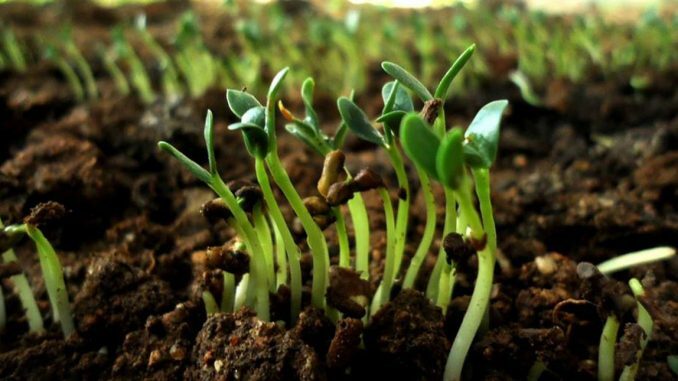 Baranaja allows experimentation when it comes to growing the seeds. Most of the times the harvest is fruitful and there is always a scope to learn from the kind of crops that are grown with such inter-mixing. Oftentimes, the demand of the market limits this exploration and learning but the ways in which our eco-system benefits from such a practice is insurmountable. As Indian environmentalist and activist Vandana Shiva points out, “In Baranaja system, crops are chosen after many years of sowing and seeing: What are the symbiotic relationship between plants and between plants and the chosen soil? In this system plants are thinned and replanted to preserve a working diversity so that the harvest is beneficial both to the sower and the soil. The knowledge gained from observation can lead to greater yields and an understanding of seed and soil that is the basis of what we have labeled ‘sustainability’.” The practice of Baranaja not only preserves biodiversity but also what Shiva refers to as food democracy. Over the years, as we have practiced agriculture, there has been a focus on yield rather than on soil. There is a focus on only commerce and not the environment. There is a focus on business and not sustainability. This one-sided approach to our agricultural policies has led to a chaos in our agricultural practices. Over the years, as our yield has increased and has managed to feed our population, we have stopped realising that the top soil in most continents has been depleting at a rapid rate. The day our top soil dies, we will not be able to produce any more food. In a way, we have become consumers without a thought. As organic food becomes popular across the world, it is important that India makes an effort to conserve its farming legacy. The government has a huge role to play in driving our agrarian economy. It has to give subsidies for sustainable agricultural practices in order to encourage the same. Unless we pay attention, we will continue to consume poisonous food and continue mining our soil. It takes three years to convert farm land to organic practices. Which means farmers must be adequately compensated for full and half-crop losses in the first and second year, respectively. Given how rampantly we have used chemicals and fertilisers on our soil in the past it is going to be unfair to expect similar yields as with chemical farming in the first two years of conversion from chemical to organic. It becomes important, therefore, that the government looks into how the farmers are going to cope up with the kind of losses that are directly incurred with the conversion from chemical to organic instead of simply announcing to turn all of specified region into an organic production region, such as in the North East India. With the changing climate it has become even more difficult to understand which crop befits which companion crop in order to get maximum yield without being dependant on chemical fertilisers. While farming and agriculture in India have primarily become an occupation our youth simply wants to evade from, one must realise that it requires a scientific bent of mind to be able to produce a crop efficiently and sustainably. Lack of scientific knowledge about any crop would definitely hinder us from combating the drastic effects of climate change on our crops. Our farmers need to have the right training and the knowledge to be able to reap the benefits of traditional practices in the current times.